Turnout High For Egyptian Elections : The Two-Way Voting has begun in Egypt, where the nation's first parliamentary elections are being held since the toppling of President Hosni Mubarak's regime nine months ago. So far turnout is high and things are going well — a relief after last week's protests. An Egyptian woman shows her ink-stained finger after voting at a polling station in the Manial neighborhood of Cairo earlier today (Nov. 28, 2011). Voting has begun in Egypt, where the nation's first parliamentary elections are being held since the toppling of President Hosni Mubarak's regime nine months ago. So far, according to reports from NPR, The Associated Press and other news outlets, turnout is high and things are going well — a relief after last week's protests in major cities and the violent response to them from authorities. From Alexandria, NPR's Soraya Sarhaddi Nelson reported during Morning Edition that "for the past several days it's been very quiet with everybody focused on the election," and today, police officers have been "very, very pleasant and polite and answering voters' questions" — a civil type of exchange with civilians that's "something I have never seen here before." Also on Morning Edition, NPR's Lourdes Garcia-Navarro reported from a crowded polling place in Cairo that "it's calm here and fears of violence have not kept people away." Al-Jazeera says there have been some "logistical problems" today. In some places, "polling stations had not opened more than an hour after the time scheduled, as ballot papers and the ink used to mark voters' fingers had not arrived. ... Additionally, a ban on campaigning at polling stations has been broken, with members of parties handing out pamphlets and banners." 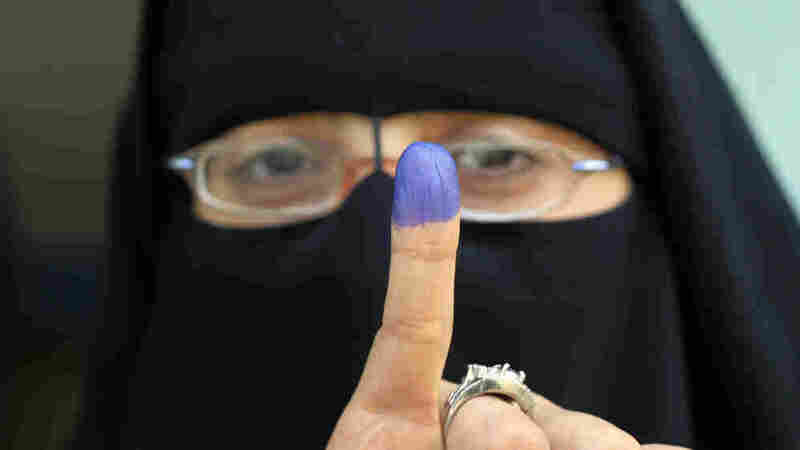 But, the AP adds, "the vote promises to be the fairest and cleanest election in Egypt in living memory. The Muslim Brotherhood, Egypt's largest and best organized group, along with its Islamist allies are expected to do well in the vote." "The voting begins an election timetable which lasts until March 2012. The first stage, running until January, covers elections to the 508-member People's Assembly. About 50 million people are eligible to vote out of a population in excess of 85 million — with candidates from 50 registered political parties." We'll keep an eye on the news from Egypt and pass along highlights as the day continues. According to Reuters, "the U.S. State Department said on Monday early reports were 'quite positive' on the Egyptian elections. State Department spokesman Mark Toner said there were no reports of violence or irregularities, and turnout was high."